There has been a lot of media coverage mostly written by Israelis or American Jews regarding Israel’s “victory” fifty years ago during the so-called Six Days War directed against its Arab neighbors but I have yet to see an account that mentions the fate of the U.S.S. Liberty. Nevertheless, the Liberty is not forgotten. This Thursday at noon at Arlington National Cemetery there will be a small gathering for the annual coming together with the survivors and friends of the most decorated ship in the history of the U.S. Navy, a victim of a particularly brutal and unprovoked attack by Israel that has been covered up for half a century by the powers that be in Washington. The moving service will include reminiscences by surviving crew members plus the ringing of a ship’s bell for each one of the thirty-four American sailors, Marines and civilians that were killed in the deliberate Israeli air and sea onslaught that sought to sink the intelligence gathering ship and kill all its crew. Present will be a number of veterans like myself and other Americans who are committed to ensuring that the story of the Liberty will not die in hopes that someday the United States government will have the courage to acknowledge what actually happened on that fateful day. The Liberty survivors who will be present in Arlington on Thursday will be fewer than usual because the crew is having its own 50th anniversary commemoration in Norfolk, Virginia, home of the U.S. Atlantic fleet. In truth the attack on the U.S.S. Liberty by Israeli warplanes and torpedo boats on June 8, 1967, has almost faded from memory, with a younger generation completely unaware that a United States naval vessel was once deliberately targeted and nearly sunk by America’s “greatest friend and ally” Israel. 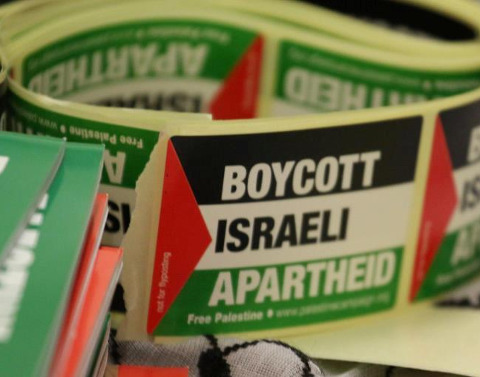 The attack was followed by a cover-up that demonstrated clearly that at least one president of the United States even back nearly fifty years ago valued his relationship with the state of Israel above his loyalty to his own country. It was in truth the worst attack ever carried out on a U.S. Naval vessel in peace time. In addition to the death toll, 171 more of the crew were wounded in the two-hour assault, which was clearly intended to destroy the intelligence gathering vessel operating in international waters collecting information on the ongoing fighting between Israel and its Arab neighbors. The Israelis, whose planes had their Star of David markings covered up so Egypt could be blamed, attacked the ship repeatedly from the air and with gunboats from the sea. When one Israeli pilot hesitated, refusing to attack what was clearly an American ship, he was instructed to proceed anyway. Johnson was reportedly feared Jewish influence over Congress and in the media, which might work together to block his “Great Society” legislative initiatives, not to mention his expected reelection bid in 1968. It was an early manifestation of the power of the Jewish lobby in American politics and foreign relations. 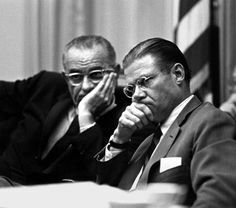 One has to hope that both LBJ and McNamara are currently burning in hell. The incredible courage and determination of the surviving crew was the only thing that kept the Liberty from sinking. The ship’s commanding officer Captain William McGonagle was awarded a Congressional Medal of Honor for his heroic role in keeping the ship afloat, though President Lyndon Baines Johnson broke with tradition and refused to hold the medal ceremony in the White House, also declining to award it personally, delegating that task to the Secretary of the Navy in a closed to the public presentation made at the Washington Navy Yard. The additional medals given to other crew members in the aftermath of the attack made the U.S.S. Liberty the most decorated ship based on a single engagement with hostile forces in the history of the United States Navy. The court’s findings were rewritten and sections relating to Israeli war crimes, to include the machine gunning of life rafts, were excised. Following in his father’s footsteps, Senator John McCain of Arizona has used his position on the Senate Armed Services Committee to effectively block any reconvening of a board of inquiry to reexamine the evidence. Most of the documents relating to the Liberty incident have never been released to the public in spite of the 50 years that have passed since the attack took place. The faux court of inquiry and the medals awarded in secret were only the first steps in the cover-up, which has persisted to this day, orchestrated by politicians and a media that seem to place Israel’s interests ahead of those of the United States. Liberty survivors have been finding it difficult even to make their case in public. In April 2016 a billboard that read “Help the USS Liberty Survivors – Attacked by Israel” was taken down in New Bedford Massachusetts. The billboard had been placed by the Honor Liberty Vets Organization and, as is normal practice, was paid for through a contractual arrangement that would require the billboard company to post the image for a fixed length of time. It was one of a number of billboards placed in different states. Inevitably, Israel’s well connected friends began to complain. One Jewish businessman threatened to take his business elsewhere, so the advertising company obligingly removed the billboard two weeks early. After fifty years, the dwindling number of survivors of the Liberty are not looking for punishment or revenge. When asked, they will tell you that they only ask for accountability, that an impartial inquiry into the attack be convened and that the true story of what took place finally be revealed to the public. That Congress is deaf to the pleas of the Liberty crew should surprise no one as the nation’s legislative body has been for years, as Pat Buchanan once put it, “Israeli occupied territory.” The Lobby’s ability to force Congress and even the presidency to submit to its will has been spelled out in some detail by critics, first by Paul Findley in They Dare to Speak Out, later by John Mearsheimer and Stephen Walt in The Israel Lobby, in Alison Weir’s Against Our Better Judgment, and most recently in Kirk Beattie’s excellent Congress and the Shaping of the Middle East. So the treatment of the U.S.S. Liberty should surprise no one in a country whose governing class has been for decades doing the bidding of the powerful lobby of a tiny client state that has been nothing but trouble and expense for the United States of America. Will it ever end? As the Israel Lobby currently controls the relevant parts of the federal government and much of the media, change is not likely to happen overnight, but there are some positive signs. The BDS movement is growing in spite of the pressure it is experiencing and will not go away. And opinion polls suggest that the American people are finally waking up to realize that they are sick and tired of the entire farce playing out in the Middle East under Israeli direction. Israel, which aggressively spies on us, kills our citizens and takes billions of dollars of our tax money which could be better spent here, is no friend of the United States and never has been. Just ask anyone who served on the U.S.S. Liberty.